Varietal honey production is a more selective harvesting process than seasonal honey production. Varietal honey is harvested from the hives and processed in small batches every week instead of once or twice as in seasonal honey production. Hives for varietal honey production can range from one to dozens or more in each floral placement covering a varied geographic area. This allows for the production of varietal honeys with a wide range of distinctive colors and flavor profiles that are unobtainable with seasonal honey production practices. 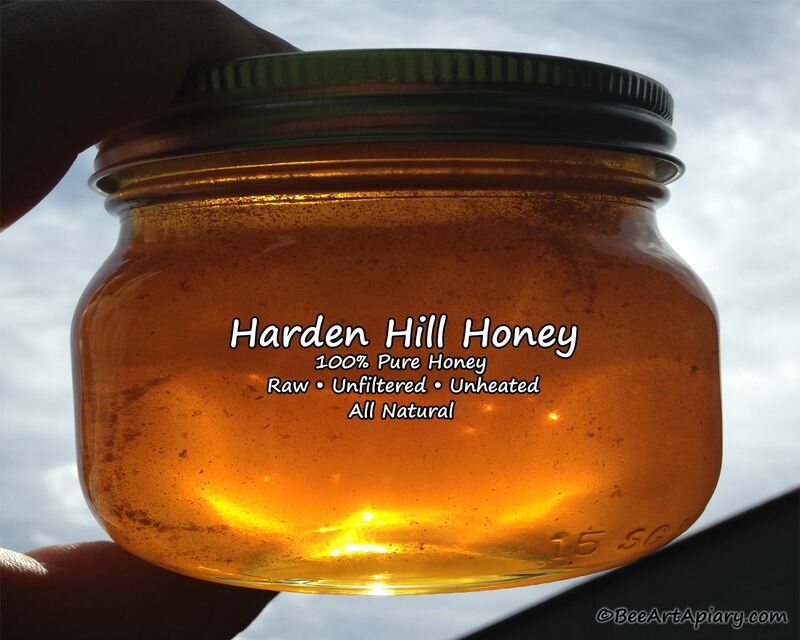 Harden Hill Honey varietals are cold gravity processed. Which means they never have heat or artificial pressure (which generates heat by added friction) applied to them. This is a slow but rewarding process. Resulting in a honey that is raw, unfiltered and having a color, texture and flavor profile exactly as it is inside the hive.